South Causey Inn is an independent hotel set in 100 acres of beautiful countryside in the Beamish Valley. Home to an array of unique accommodation including luxury rooms with hot tubs, two storey Pamper Houses, and a converted 1960s double decker bus, the hotel is perfect for relaxing getaways with a difference. In addition to offering overnight packages and dining experiences such as afternoon tea, the hotel also provide clay pigeon shooting sessions and even distill their own range of gins using botanicals grown in their gardens. As they only sold gift vouchers over the phone, South Causey Inn could only offer a limited selection of vouchers for activities, accommodation and dining experiences. What’s more, because their buying process was drawn out, their overall gift voucher sales were minimal. 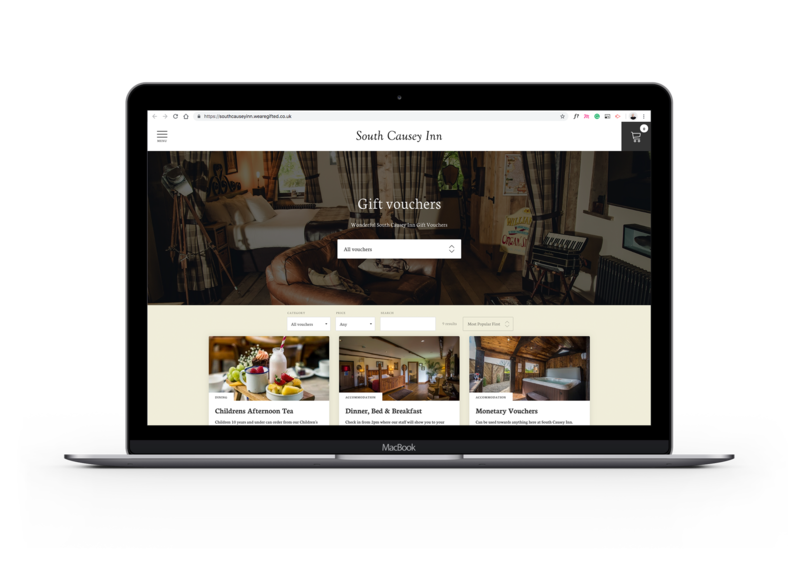 South Causey needed a complete solution for their gift vouchers, and as they had recently launched a new website, they thought there was no better time to move their vouchers sales online. As an intuitive and easy-to-use online platform that seamlessly integrates with a hotel’s existing website, Gifted was the perfect choice for South Causey Inn. 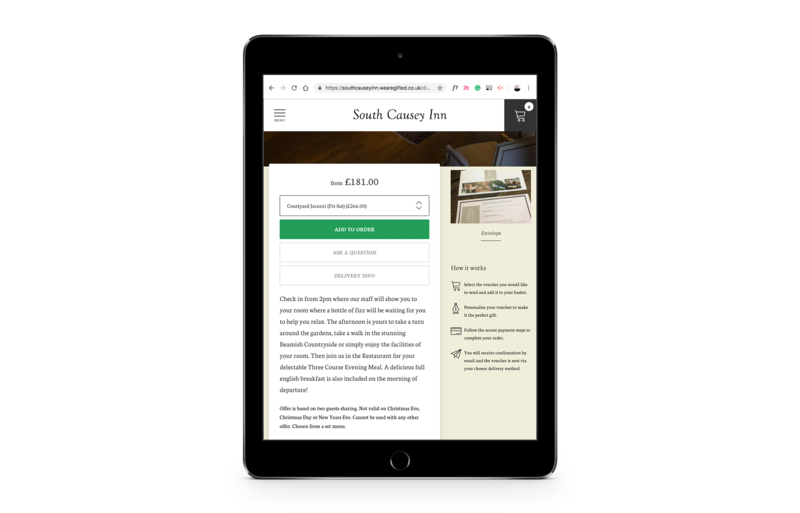 The engaging, conversion-led interface enables guests to buy vouchers in as few clicks as possible, allowing the South Causey Inn team to spend more time managing day-to-day operations. The entire solution was also rolled out in just 28 days and the Gifted team are still on hand to offer support and guidance to the South Causey Inn team should they need it in the future.